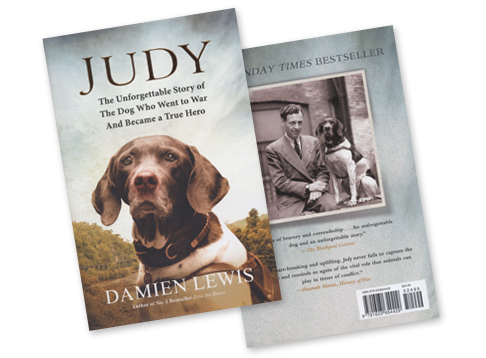 Damien Lewis, an award-winning British journalist who has spent twenty years reporting from war and conflict zones, uses his narrative skills to write the extraordinary and inspiriting tale of an English pointer named Judy. 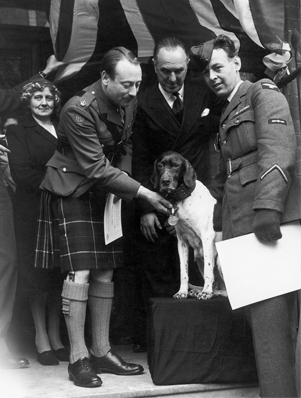 Judy served as a mascot of the World War II Royal Navy Yangtze River gunboats the Gnat and the Grasshopper. After several worn-torn years of being bombed and shipwrecked, she ended up in a Japanese prisoner of war camp in North Sumatra along with American, Australian, and British POWs. As in the immortalized story of a parallel event told in the film The Bridge on the River Kwai, POWs were forced, under subhuman conditions, to build a 1,200-mile single-track railroad through the most horrifying jungles and treacherous mountain passes. 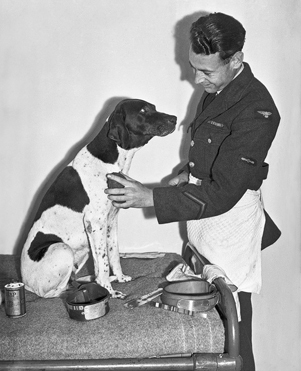 Judy scavenged for food and helped to feed the starving inmates of the hellish POW camp and, by her presence, brought inspiration and hope to the prisoners. Cherished and adored by the Allied servicemen, she fought to survive alongside them. Judy’s uncanny ability to sense danger, matched with her quick wit and courage saved countless lives. In recognition of the friendship and protection she offered amidst this savage environment, she gained formal status as a POW. 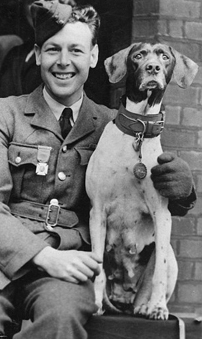 Entitled Judy: A Dog in a Million in Britain, this is one of the most inspiring tales of canine heroism you will ever read. The book is now available at book sellers in the US renamed (???) 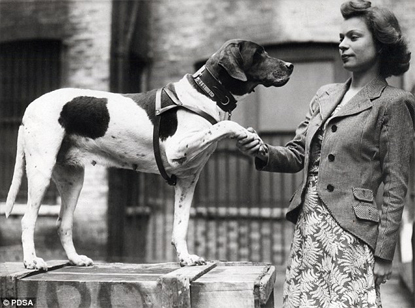 Judy: The Unforgettable Story of A Dog Who Went to War And Became a True Hero. 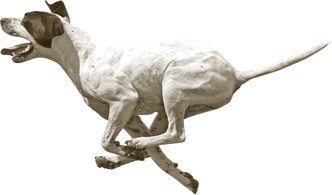 animal version of the Victoria Cross. Judy…truly a dog in a million!